You may think you know the Rally but what you probably don't know is the ambitious plans of Phil McCoy who "bought the company" he says. He also reported buying space at the Barstow, Florida airport and he plans to fully build the Rally and an all-metal model called the Century, both designed by Storm Aircraft in Italy. Both Rally and Century, currently approved as SLSA, will also be available as kits. Hear about all the plans. You may think you know the Rally but what you probably don’t know is the ambitious plans of Phil McCoy who “bought the company” he says. He also reported buying space at the Barstow, Florida airport and he plans to fully build the Rally and an all-metal model called the Century, both designed by Storm Aircraft in Italy. Both Rally and Century, currently approved as SLSA, will also be available as kits. Hear about all the plans. Storm Rally is offered by Air Elite Aviation, who also recently certified the all-metal, low-wing Century from Europe's Storm Aircraft. The high wing Rally is a composite construction, showing the versatility of this Italian-design aircraft. Gull wing doors make for easy entrance to the comfortable interior. Storm Rally is offered by Air Elite Aviation, who also recently certified the all-metal, low-wing Century from Europe’s Storm Aircraft. The high wing Rally is a composite construction, showing the versatility of this Italian-design aircraft. Gull wing doors make for easy entrance to the comfortable interior. Receding economy or not, the Rally storms back with a new U.S.-based manufacturer and a Florida outlet. The composite high-wing Rally is first, but the metal low-wing Century will follow, possibly followed by the Sea Storm. People keep waiting for the "inevitable market shakeout," where smaller LSA companies begin leaving the business. In our current economic climate, business failures are far more common than usual. So, how many companies have gone away? Answer: hardly any. In fact, some that went dormant are coming back. And, several more companies and airplanes remain in development. Growth in LSA companies and models appears far from finished. *** One of the comeback stories is the Storm Rally. This Italian design seemed to disappear when health problems overwhelmed the principal of the former U.S. producer, Prestige Aircraft. 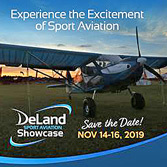 Now, thanks to Rodger Whaley of Air Elite (the company that previously distributed Prestige Aircraft's production) and Phil McCoy, a Florida aviation marketer, Rally was on display at AOPA Expo 2008. *** Air Elite (contact at 269-273-8441 or email) is morphing into the American manufacturer of Storm Aircraft after the Three Rivers, Michigan company struck a 30-year licensing agreement with the Italian designer. Initially Air Elite will import assembled airplanes from Italy and start U.S. production later for both Rally and Century, possibly followed by Sea Storm. So...despite the financial turmoil around the globe, LSA development moves forward. People keep waiting for the “inevitable market shakeout,” where smaller LSA companies begin leaving the business. In our current economic climate, business failures are far more common than usual. So, how many companies have gone away? Answer: hardly any. In fact, some that went dormant are coming back. And, several more companies and airplanes remain in development. Growth in LSA companies and models appears far from finished. *** One of the comeback stories is the Storm Rally. This Italian design seemed to disappear when health problems overwhelmed the principal of the former U.S. producer, Prestige Aircraft. 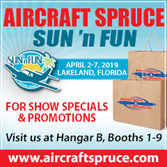 Now, thanks to Rodger Whaley of Air Elite (the company that previously distributed Prestige Aircraft’s production) and Phil McCoy, a Florida aviation marketer, Rally was on display at AOPA Expo 2008. *** Air Elite (contact at 269-273-8441 or email) is morphing into the American manufacturer of Storm Aircraft after the Three Rivers, Michigan company struck a 30-year licensing agreement with the Italian designer. 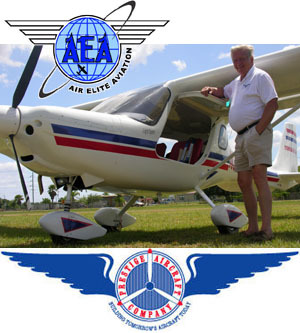 Air Elite Aviation is the U.S. distributor for aircraft built in the USA by Prestige. AEA proprietor Rodger Whaley poses by the first American-built Storm Rally, whose gull-wing doors can be opened in flight at speeds of 60 knots. Look for my upcoming Rally pilot report. In the auto industry "hybrid" infers the use of multiple technologies (think: Toyota Prius). In aviation, hybrid could mean an airplane designed in one country and built in another. Even Boeing farms out subassemblies worldwide, integrating them in America. Car companies coined "domestic content" to state what portion of a car is "Made in the USA." *** We're doing it in LSA, too. Besides the Storm Rally (photo), Jabiru 170 and 250 and the Delta Jet 912 trike are hybrids. The Italian-designed, Canadian-owned, Skykits line is U.S.-built. *** Prestige Aircraft is the licensed manufacturer for aircraft designed by Storm Aircraft of Italy. Like Jabiru USA, Prestige brings in major components, assembles them, and finishes with U.S.-sourced elements, which better addresses the American market. 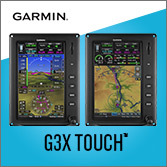 Storm Rally comes with basic VFR flight instruments and equipment, including a turn-coordinator, tail-strobe, Icon 200 radio, and Garmin transponder with altitude encoder. 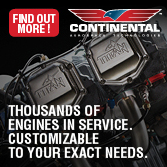 Somewhat unusually, Prestige models also come with a limited 2-year, or 1000-hour warranty. In the auto industry “hybrid” infers the use of multiple technologies (think: Toyota Prius). In aviation, hybrid could mean an airplane designed in one country and built in another. Even Boeing farms out subassemblies worldwide, integrating them in America. Car companies coined “domestic content” to state what portion of a car is “Made in the USA.” *** We’re doing it in LSA, too. Besides the Storm Rally (photo), Jabiru 170 and 250 and the Delta Jet 912 trike are hybrids. The Italian-designed, Canadian-owned, Skykits line is U.S.-built. *** Prestige Aircraft is the licensed manufacturer for aircraft designed by Storm Aircraft of Italy. Like Jabiru USA, Prestige brings in major components, assembles them, and finishes with U.S.-sourced elements, which better addresses the American market. Storm Rally comes with basic VFR flight instruments and equipment, including a turn-coordinator, tail-strobe, Icon 200 radio, and Garmin transponder with altitude encoder. Welcome to the 27th SLSA to be approved. Storm Aircraft of Italy has struck a deal to have their Rally manufactured in the U.S. by Prestige Aircraft, of Jackson, Michigan. This carbon fiber and Kevlar all-composite machine using the 100-hp Rotax 912S is base priced at $85,000. 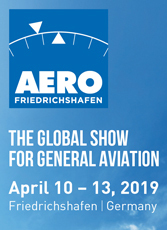 Prestige has appointed Air Elite Aviation of Three Rivers, Michigan as their exclusive distributor. Rally boasts a wide cabin with 300 degrees of visibility plus doors that can be opened when flying slower than 60 knots (69 mph). Rally can cruise 107 knots (123 mph) at 75% power. Using its 34-gallon fuel capacity, the side-by-side two seater can carry you 900 statue miles. 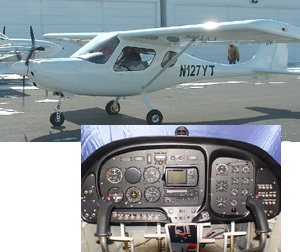 Prestige plans to deliver Rally with basic day VFR flight instruments plus ICOM 200 Radio, Garmin Transponder with an altitude encoder, turn coordinator, and a tail strobe. 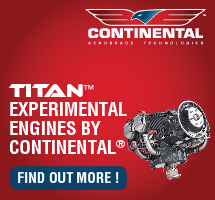 The company also says that all aircraft models come with a limited two-year or 1000-hour warranty. The Rally (top) is another U.S. built, Italian-designed aircraft. 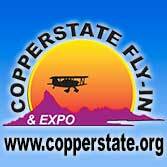 Watch for my upcoming pilot report in a future issue of EAA's Sport Pilot magazine. The completely different SeaStorm is presently delayed while the company works to optimize the design for the LSA rules. As if 57 models of Light-Sport Aircraft from 44 companies were not enough, some companies have unusual breadth in their product line and have models yet to introduce to Americans. Canada's Skykits company offers several variations on their Savannah, but I refer to something different. Tecnam has two high wings and a low wing model, but all are built similarly. *** Looking at Storm Aircraft of Italy, we see a wide mixture. The all-composite, high wing, dual door Rally won SLSA approval in February 2006. Next will come the all-metal, low wing, forward-opening canopy Century. Finally, Prestige Aircraft -- the U.S. integrator of components from Storm -- hopes to launch the SeaStorm, their sleek amphibious entry. 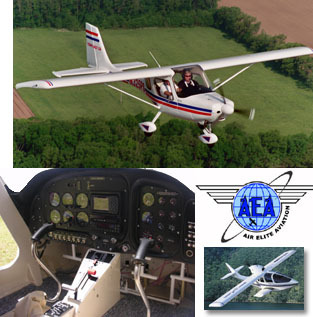 All three airplanes are outwardly distinct such that U.S. distributor Air Elite can offer very different choices. Sport Aircraft Works -- U.S. distributor for Czech Aircraft Works -- offers similar design diversity though their planes are all-metal. So many choices...not enough money to buy them all. As if 57 models of Light-Sport Aircraft from 44 companies were not enough, some companies have unusual breadth in their product line and have models yet to introduce to Americans. Canada’s Skykits company offers several variations on their Savannah, but I refer to something different. Tecnam has two high wings and a low wing model, but all are built similarly. *** Looking at Storm Aircraft of Italy, we see a wide mixture. 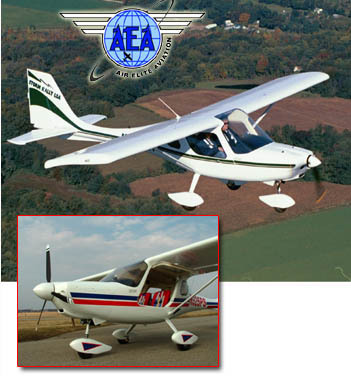 The all-composite, high wing, dual door Rally won SLSA approval in February 2006. Next will come the all-metal, low wing, forward-opening canopy Century. Finally, Prestige Aircraft — the U.S. integrator of components from Storm — hopes to launch the SeaStorm, their sleek amphibious entry. All three airplanes are outwardly distinct such that U.S. distributor Air Elite can offer very different choices. 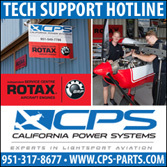 Sport Aircraft Works — U.S. The #1 U.S.-built Storm Rally rolled out of the hangar in basic white as its owner plans a custom paint job (wheel pants will also be added). 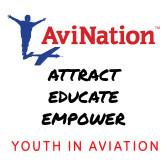 For more info, call 269-273-8441 or email Air Elite Aviation. Michigan-based Prestige Aircraft recently rolled out their first U.S.-built Storm Rally. Examples of this attractive high wing aircraft seen at airshows like AirVenture 2006 were manufactured by the Italian company that created the design. Now, Prestige builds the Rally under an agreement with Storm Aircraft and plans to add the low wing Century and amphibious Sea Storm in the future. *** Rally, which won its SLSA approval in early 2006, is a carbon fiber and Kevlar reinforced composite design that comes equipped with basic flight instruments and equipment for VFR day operation including a turn-coordinator; tail-strobe; ICON 200 radio; and Garmin transponder with an altitude encoder. Unlike many other brands, national distributor Air Elite Aviation says, "All aircraft models come with a limited two-year, or 1000-hour warranty." 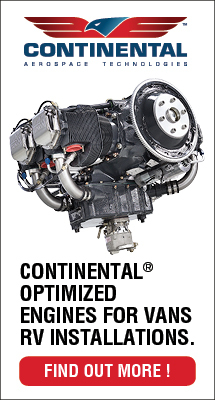 Rally can cruise at 107 knots (75% power) and, with 34 gallons of usable fuel, it boasts an 800 nautical mile range. Michigan-based Prestige Aircraft recently rolled out their first U.S.-built Storm Rally. Examples of this attractive high wing aircraft seen at airshows like AirVenture 2006 were manufactured by the Italian company that created the design. Now, Prestige builds the Rally under an agreement with Storm Aircraft and plans to add the low wing Century and amphibious Sea Storm in the future. *** Rally, which won its SLSA approval in early 2006, is a carbon fiber and Kevlar reinforced composite design that comes equipped with basic flight instruments and equipment for VFR day operation including a turn-coordinator; tail-strobe; ICON 200 radio; and Garmin transponder with an altitude encoder. Unlike many other brands, national distributor Air Elite Aviation says, “All aircraft models come with a limited two-year, or 1000-hour warranty.” Rally can cruise at 107 knots (75% power) and, with 34 gallons of usable fuel, it boasts an 800 nautical mile range.